Alrighty, here is the first of what I promise to be many new sewing patterns this year. 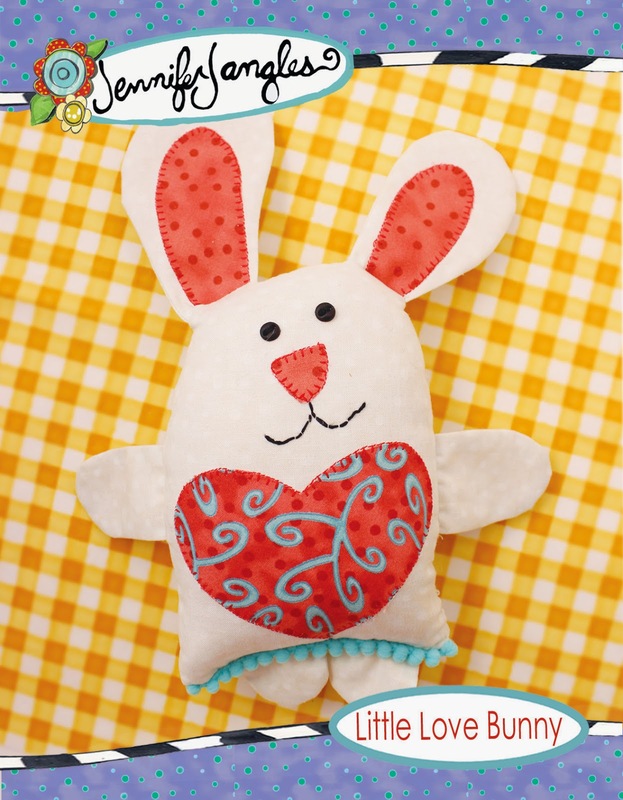 Right now Little Love Bunny is available as a PDF but he'll be in print down the road....just have to get a few more ready for the printer first so I can send them all off at once. 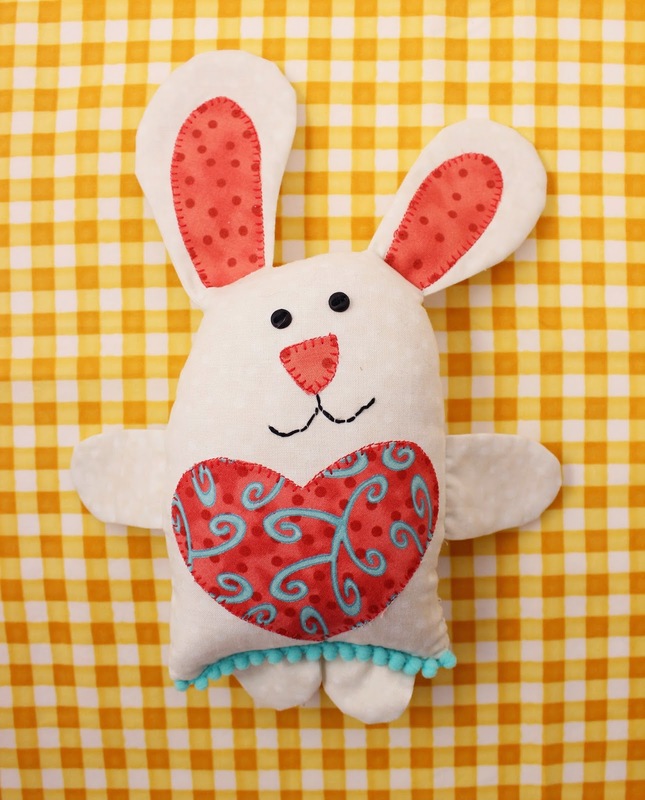 Little Love Bunny makes a cute little gift for Valentines Day or any day. For some reason I couldn't sew just one, I made nine. 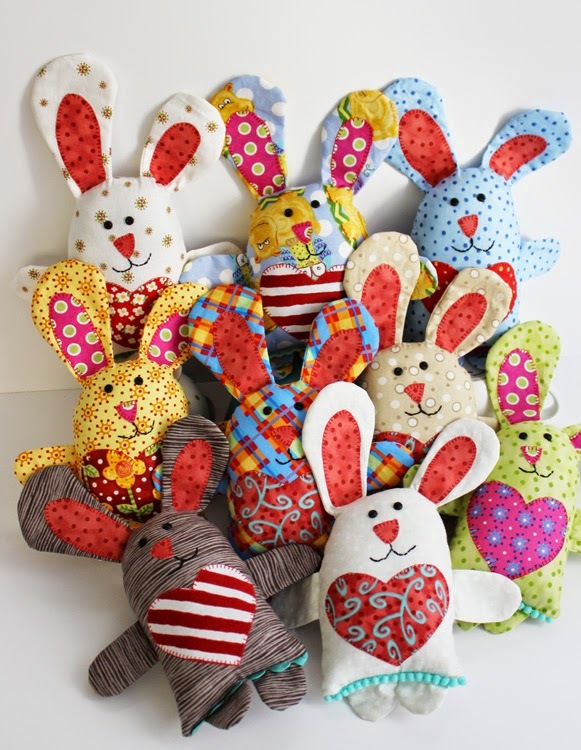 They were super fun to sew, and quick, and I'm probably weird but when I sew I like to sew a lot of things all at once. I must have an inner production worker needing to get out. He's got lop-sided ears and a off center nose to give him character. I was picturing a child's drawing when I designed him. His eyes are 1/4" buttons but could easily be stitched on with floss for a younger child. Hope you like him! You can find the PDF pattern in my web shop, on Etsy, or on Craftsy.